On June 29, 2009, the Jena 6 saga reached an unheralded conclusion at the LaSalle Parish courthouse. The terms reflected DA Reed Walter’s desire to move beyond a controversy that had enveloped his existence for over two years. Each of the five remaining defendants in this case pleaded “no contest” to a misdemeanor charge of simple battery and after completing a week of non-supervised probation their records were expunged. Two weeks later, more than 150 officers, including a SWAT team and helicopters, stormed into Jena’s small black community and arrested over a dozen individuals. According to Sheriff Scott Franklin, the primary target of the raid was 37-year-old Darren “Nunni” DeWayne Brown, a man Franklin described as the narcotics kingpin responsible for supplying 80% of the narcotics sold in LaSalle, Grant and Catahoula parishes. The raid also targeted Brown’s partners in crime and a few and other low-level dealers. Catrina Wallace, one of the key organizers behind the Jena 6 movement, was among those arrested. As her three young children looked on, Catrina was arrested at gun point, handcuffed, and hauled off to the LaSalle Parish Jail. A search of her home turned up no evidence of drug use or drug dealing. In fact, none of the Rambo-style raids conducted that day produced any drugs. Scott Franklin had predicted that his raid would make the black end of Jena look like Baghdad. Maybe so, the 150 men assembled for Operation Third Option didn’t find the WMD. Nonetheless, Catrina was slapped with a $150,000 cash-only bond and her car, a gift from friends impressed with her organizing work in Jena, was confiscated. It was the first time Wallace had been arrested. More than a dozen people were arrested based almost solely on testimony and video evidence provided by a police informant, 23-year-old convicted drug dealer Evan Brown. All but two of the defendants were black. The white defendants either weren’t charged or received light sentences in return for cooperation. Scott Franklin was elected sheriff a month after 50,000 people travelled by bus to Jena to protest the treatment of the Jena 6. As a candidate, Franklin had little to say about the Jena 6; he wanted to talk about drugs. If you are a drug dealer in LaSalle Parish, Franklin declared, you will have three options if I am sheriff: you can quite your low down ways; you can get out of town; or you will be arrested and sent away for a long, long time. The T-shirts disappeared in the wake of an angry reaction from black residents. Franklin comes by his tough-on-crime politics naturally. His father, Sammy, and brother, Craig, publish the Jena Times, a well-written but uncompromisingly right-wing paper. Back in the day, Scott and one of his brothers were state troopers. The dog whistle message behind the drug war rhetoric isn’t hard to discern. The black folks may have forced us to back down on the Jena 6 business, Franklin was suggesting, but we will exact our revenge by locking up some black drug dealers. Operation Third Option was organized with Catrina Wallace in mind. Charged with selling six grams of crack cocaine to a confidential informant over a three-week period. The informant had video of Catrina, but no drug transactions were indicated. Convicted by a jury with only a single black juror, Catrina was sentenced to fifteen years in prison and won’t be eligible for parole for six years. Why haven’t you heard of this before. Apart from Jordan Flaherty’s reporting, little has been written on Operation Third Option and its relation to the Jena 6 story. So why didn’t Friends of Justice, Color of Change, Family and Friends of Louisiana’s Incarcerated Children(FFLIC) and the broad coalition of advocacy organizations that made Jena a household word come sweeping back into town in support of Catrina Wallace and the other victims of Operation Third Option? The easy answer is that facts were initially hard to come by. It now appears that the case against Ms. Wallace was reminiscent of the ill-famed Tulia drug bust of 1999, the outrage that brought Friends of Justice into existence. Instead of Tulia’s Tom Coleman, Operation Third Option rested on the slumped shoulders of a convicted drug dealer who was paid, in the soft currency of judicial mercy, for saying what the authorities wanted to hear. But early on, reliable facts were in short supply. No one wanted to associate the Jena 6, a group already stigmatized as street thugs, with drug dealing, even in a tangential way. We carefully monitored the situation. Tory Pegram, the first ally to join Friends of Justice in Jena, made several fact-finding trips. Audrey Stewart, a close associate of Bill Quigley, did the same. Some of the attorneys who had represented the Jena 6 paid careful attention to Catrina’s case, ensuring she received good legal advice and help with the appeal process. But an essential factor was missing. The Jena 6 campaign began with grassroots organizing. I first heard about the case when a lawyer friend in Louisiana forwarded me an email composed by the Juvenile Justice Project of Louisiana. JJPL didn’t have the resources to intervene, but they were hoping a few pro bono attorneys would ride to the rescue. They got two responses. One from an irate defense attorney who believed that any member of the defense bar could defend the defendants, and one from me. If any of the parents wanted to contact me, I said, I’d see what I could do. Five minutes later, I received phone calls from Caseptla Bailey (mother of Robert Bailey Jr.) and John Jenkins (father of Corwyn Jones). In late December of 2006, three weeks after the beat-down at Jena High School, I flew from Tulia to Alexandria, LA, then drove a rented car to one of the most isolated communities in America. During four-days of initial investigation, I interviewed local pastors, dropped in on Sammy and Craig Franklin, testified (at Ms. Bailey’s request) a disciplinary meeting at which the Jena 6 were formally expelled, visited Robert Bailey Jr. in jail, and dropped in on most of the defendants who had been released on bail. A few weeks later, on February 27, 2007 (as I write, five years ago to the day), I flew back to Jena at the request of the defendants and their families. 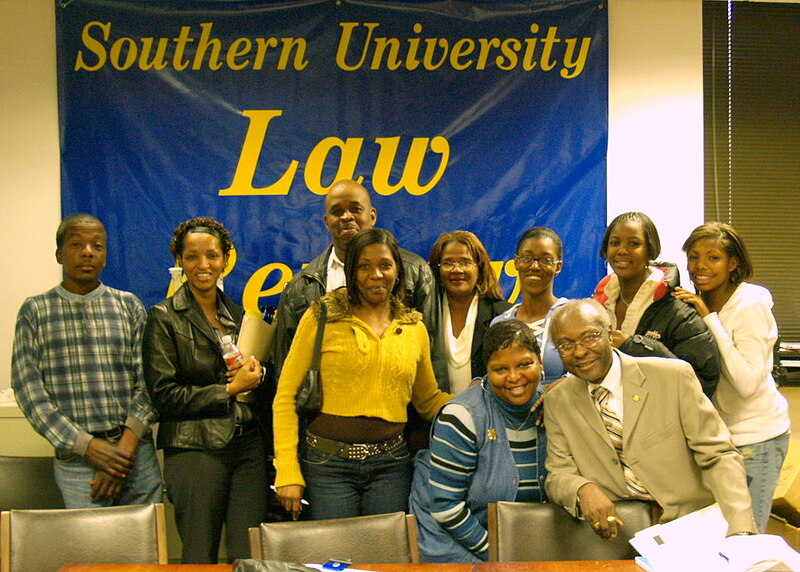 They were traveling to Baton Rouge to attend the annual meeting of the Louisiana NAACP at Southern University and they wanted me to accompany them. Jena happened because the affected community, the family and friends of the Jena 6, were desperate for justice. We didn’t get a lot of encouragement from the NAACP. Ernest Johnson, the Republican president of the Louisiana NAACP, told us that if we could create a Jena branch with 100 dues-paying members he would look into helping us. Miraculously, the families drove back to Jena and made it happen. First, we needed a place to meet. 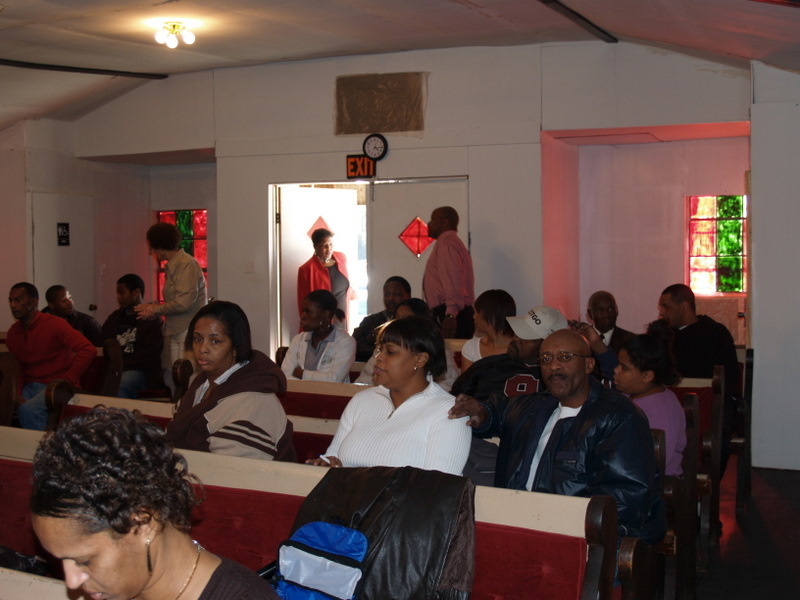 The pastors of the larger black congregations refused to let us meet in their church buildings. They were sympathetic, but the white ministers had recently been making cooperative gestures and they didn’t want to ruin the positive mojo. Then we got some good news. The Rev. Brian Moran, pastor of Jena’s tiny Antioch Baptist Church opened his building to our organizing efforts. On the first night, 50 people crowded into the sanctuary. Some were there because they wanted Jena to have a NAACP branch; some came to support the Jena 6; most were came for both reasons. Within a month, thanks to the sacrificial work of people like Catrina Wallace and Caseptla Bailey, we had our 100 dues paying members. Every two weeks we would gather at the Antioch for worship, sermonizing, and organizing. 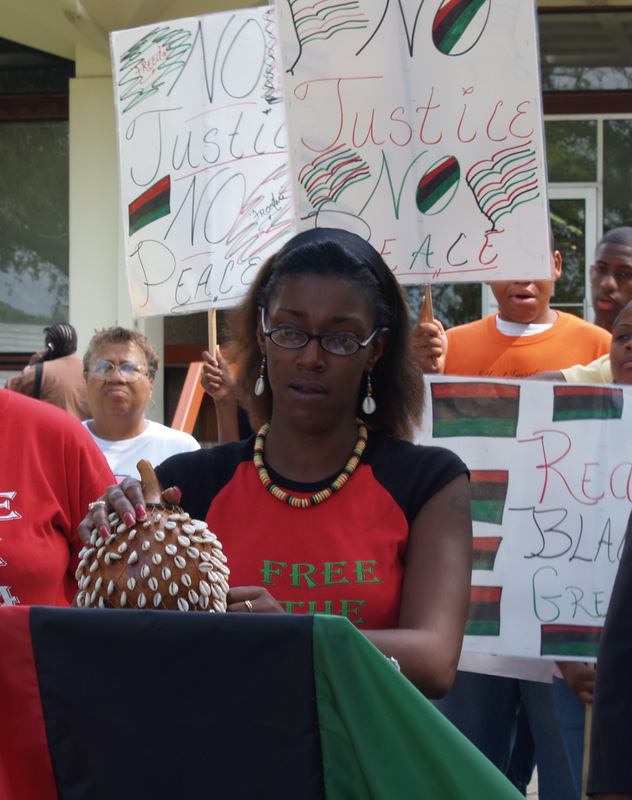 The next morning, we would gather at the LaSalle Parish Courthouse to call for justice for the Jena 6. At first there were just fifteen or twenty of us; but gradually our numbers grew. Tory Pegram, then with the Louisiana ACLU, and King Downing from the ACLU’s national office joined us, and it wasn’t long before James Rucker with Color of Change was in the audience. But the organizers worked quietly and behind the scenes; the local folk, led by Catrina Wallace and Caseptla Bailey, ran the show. The families were tight. You could feel the love and resolve in the room. When I brought in reporters like Howard Witt of the Chicago Tribune to Jena, the families were eager to talk. Moreover, after countless meetings, they had their talking points down cold. 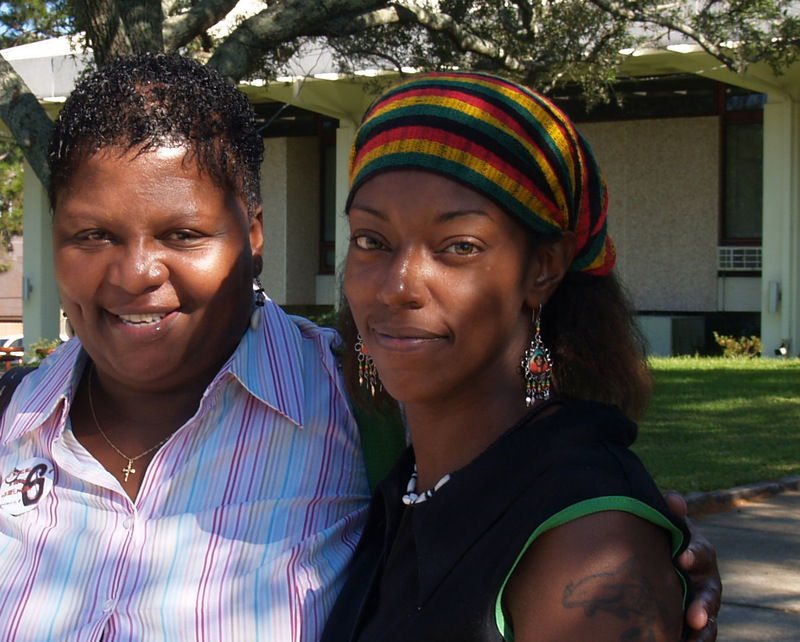 In May of 2007, just after Mychal Bell’s soon-to-be-overturned conviction, we were 300 strong. CNN had taken an interest in the case, and the black blogosphere had picked up the story about the nooses, and the DA’s pen, and bizarre charges. Meanwhile, I was one the phone with Kirk Schmoke of Howard University and Richard Cohen of the Southern Poverty Law School, working on a legal angle. When Jim Boren, one of the most respected attorneys in Louisiana, signed on to represent Robert Bailey Jr. it wasn’t long before international firms were sold on the project. It was at this point that I suggested we organize a legal defense fund. I was envisioning something in the range of $15,000, just a way to provide some gas and meal money for the men and women who, like most of the organizers, were donating their time to the cause. Then Michael Baisden, “the bad boy of talk radio” picked up the Jena 6 story and a ripple of concern was transformed into a tidal wave. Baisden didn’t always get his facts straight, but he was loud and passionate. Across the country, black parents, sisters, aunts and grandmothers saw their loved ones in the eyes of the Jena 6. The defendants became symbolic representatives of all young victims of mass incarceration, good kids making dumb decisions and paying with decades gouged out of their lives. I wasn’t surprised when, driving down to Jena for the May rally, I got a call from a woman working with the Rev. Al Sharpton. She wanted contact information for the families. Two days later, we were all sitting under the enormous tent the Jena 6 families had erected at the community ball field for a big after-rally event. The event had been organized largely without assistance from the outside, just local people doing what needed to be done. And once again, Catrina Wallace was at the forefront. As the crowd began to thin out, the rain started falling and our out-of-town guests were running for their cars. Soon the tent was surrounded by a rapidly growing lake and representatives from all six families, Tory Pegram, James Rucker, King Downing and I were huddled together on the tiny patch of dry ground that remained. Caseptla Bailey took the phone. “Hello,” she said. We couldn’t hear what the high-profile preacher was saying, but Caseptla clearly didn’t like what she was hearing. “Hell, no!” she said at last. Then, looking up, she gave us the scoop. Mychal Bell’s father had a different take. Whatever it took to bring Al Sharpton to Jena, he was prepared to do it. Then the money started rolling in. The Jena 6 Defense Fund grew to $50,000, then $100,000, then a quarter million. Although all the money donated to Color of Change was placed in a trust fund and was eventually used for its intended purpose, the money arriving addressed to the Jena 6 defense fund was harder to control. At first, the families continued to work well together, gathering on a regular basis to open envelopes, count the money, and make deposits. But cracks were beginning to form. The unity and mutual support that had characterized our early work was eroding rapidly. Some of us proposed putting all the money into a trust fund controlled by an attorney. Caseptla and Catrina were down with the idea, but some of the family members refused to go along. By the time Al Sharpton, Jesse Jackson and Michael Baisden arrived in Jena, the families of the defendants had split into two factions that were no longer on speaking terms. When the vast throng arrived on September 20th, Sharpton and Jackson were secretly feuding. Confused protestors wandered back and forth between two protests, one at the courthouse featuring Sharpton and Baisden, and another at the ball field organized by Jackson and the Louisiana NAACP. The two groups couldn’t agree on a common venue. Catrina Wallace had organized a Hip Hop concert featuring some of the top acts in central Louisiana, but leaders associated with the Louisiana NAACP refused to cooperate with the project fearing that rappers would emply inappropriate language. Catrina’s event was relegated to a sideshow. A week later, when I accompanied some of the families to an event in Washington DC sponsored by the Children’s Defense Fund, I was forced to shuttle between two groups who refused to have anything to do with one another. The situation deteriorated further when Al Sharpton decided to work with Mychal Bell and his parents while essentially ignoring the other defendants. The Bell-Sharpton camp refused to cooperate with the coalition of attorneys who were representing the other five defendants, and Mychal paid the price. I have never blamed the family members who showed such tremendous courage and resolve in the early days of the movement. They were small town people unprepared for the big city issues circumstances thrust upon them. Nor do I blame the self-promoting preachers who used Jena as a soap box for their larger concerns. Men like Jackson and Sharpton are a force of nature. Where does the proverbial 600 pound gorilla sleep? When I first stood on the steps of the LaSalle Parish Courthouse, I envisioned a large crowd, a thousand strong, standing in solidarity with the Jena 6. I never envisioned 50,000, and there is no way such a vast throng could have been gathered without the ministrations of Jackson, Sharpton and Baisden. But these men don’t do grassroots organizing. They wait for someone else to build the fire, then they roast their weenies. No one associated with these media figures ever talked to Alan Bean, Tory Pegram, James Rucker or King Downing about the organizing we had done prior to their involvement. And they never talked to the affected community, unless it was to enlist one of them in a fundraising effort of some kind. My first objective in Jena was to rescue six young men from the scourge of mass incarceration. That meant enlisting pro bono attorneys; and that couldn’t happen without considerable media attention. It had worked that way in Tulia, Texas; and that’s what was required in Jena, Louisiana. But there is a very good reason why the Jena 6 story faded in the aftermath of the September rally; there was no plan B. The first team of outside agitators could have interpreted the Jena 6 saga as a school to prison pipeline story; but we were no longer in control. The new team of leaders tried to dress a New Jim Crow story in Old Jim Crow clothes. It didn’t work. When the buses reloaded and all the people (including Jesse, Al and Michael) went home, nothing remained but a broken and ineffectual community that couldn’t lift a finger against Scott Franklin’s Operation Third Option. So, who won in Jena? The Jena 6 are doing great. I drop in on some of them now and then. They’re all in college and will soon be graduating. But the band of local activists that did the undoable has been atomized. And that’s why Catrina Wallace will spend the next six years in a Louisiana prison apart from her family and her children. sad sad sad. I hadn’t heard of Catrina. Or don’t remember if I did. Where is Catrina now and what to do next? This is so sad. Catrina will be in prison for at least the next five years. As I suggest, without a local leadership team it will be difficult to intercede on her behalf. thank you so much for this, Alan. It is really disheartening that Catrina Wallace, one of the key organizers behind the Jena 6 movement, is without the benefit of someone with her drive and dedication to advocate on her behalf as she did for the Jena 6. I am not a resident of Louisiana, but I will at least pledge to make some inquiries to some of the community activists there. Is there any possibility of raising a group of locals to intercede on her behalf, or has LE succeeded in frightening anyone out of interceding? Could one of the new FOJ staff try to organize a local group? The judge scared the jurors by pressing for perjury against one in the Curtis Flowers debacle? I know what it means to be afraid. I was afraid in Tulia until we got so much publicity that any move against us would have been seen as highly suspect. Where is Al Sharpton now that the cameras are gone? I’ll watch for updates on this Tulia sequel. « It’s time to free Ramsey Muniz!